Lifeway Publishing, the official publishing house of the Southern Baptist Convention, announced today the release of a new edition of "The Baptist Hymnal" for 2012. The hymnal will feature a number of updates and improvements including over 40 new songs, a number of key changes, and extra instrumentation. 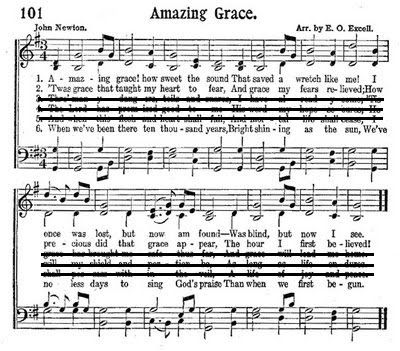 In addition, the hymnal will feature most hymns with all but the first and last verses or the first, second and last verses eliminated. "Most song leaders and music ministers only sing the first and last verses or the first, second and last verses," said Jerry Todd, director of publications for the hymnal. "To keep people from getting too confused we decided to just save time and go ahead and eliminate them." Music ministers around the country expressed delight when learning of the new hymnal. "This will really help," said Larry Moony, a music minister from Macon, Georgia. "We haven't sung a third verse in over 30 years at our church." Almost a decade ago, The Healing Place Church of Osburg began adopting a more family-integrated model of doing things. For them, this meant an end to children's church, and a complete change to their Sunday School schedule. No longer were children and adults separated into classes, but rather, they began meeting together for a family class. This philosophy of worship has worked well for the church over the past ten years. The church has grown from about 15 families to almost 50 on a typical Sunday. Parents have become more involved in the lives of their children, and other adults in the church interact more regularly with whole families. Seeing how well the family-integrated model worked, the church recently decided to take things a step further. "Pets are an important part of a family," said the church's pastor, Jim Rickman, "and if we truly desire to see the whole family together in worship, that's going to include the pets too." After much debate, the church announced that pets would be welcome in worship. The first Sunday in November would mark the beginning of a new era for Healing Place. But things didn't go quite as they had hoped. "We didn't quite think things through well enough," noted Rickman. "We had expected a few dogs and cats, but we got more than we bargained for." 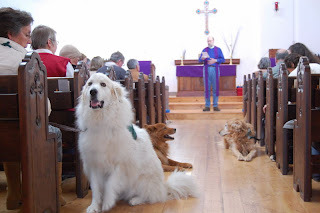 The presence of dogs and cats in worship was enough to significantly disturb the service. Besides the barking and meowing, several chases broke out prior to the prelude. The call to worship was accented by a "yippy little dog" whose high-pitch bark apparently triggered a seizure in one of the ushers. And during the first hymn a cat managed to jump on top of the communion table and begin eating the bread. Besides dogs and cats, several other pets of a more exotic nature caused an uproar. Even though kept in a terrarium, one young man's pet rattlesnake was enough to send a group of people screaming from the service. The screams were accented by other shrieks induced by various pet tarantulas, iguanas, and even an aardvark. The service was forced to an abrupt end whenever several dogs began marking various pews as their territory. "We went too far," quipped Rickman. "Thankfully, the repairs to the sanctuary are not as expensive as we first thought, but I think we're going to have a hard time convincing anyone to drink from the communion cups again, especially after that cat used them as a litter box." A world gathering of atheists occurred this past weekend in Munich to discuss how the "meaninglessness of atheism is becoming so commercialized." Led by the outspoken and controversial Richard Dawkins, the group of "intellectuals" and "rationalists" from over 45 different countries listened to lectures and participated in roundtable forums that dealt with the issue. 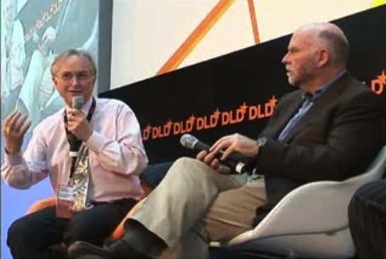 In the opening address to the enthusiastic crowd, Dawkins dealt with the issue of the commercialization of atheism. "What we are currently seeing worldwide is a mass influx of everyday people to atheism, and as a result it's beginning to lose its true hopelessness. Some of these people are abandoning their beliefs in deity and joining our cause, but at the same time they're bringing in such ideas as hope, optimism, and purpose in life, and this is something that we as faithful unbelievers need to seriously address. Every effort must be made to reclaim the true meaninglessness of life, to reclaim the great truth of the pointlessness of our existence." Over the course of the conference the group formulated a motto that they hope will serve as a battle cry for those atheists who want to remember the true misery of life. "Nothing is the reason for our existence." At the close of the conference Dawkins noted, "We believe that having a short, pithy statement such as this can help our atheists brothers and sisters out there keep in mind the great truth that all of life has pointlessly come from nothing and is going to nothing." We've all been there at one time or another. It's Sunday morning and the praise and worship portion of the service is done. Now we've reached the time for "special music." Sometimes the choir sings, other times it might be an instrumental piece. But inevitably, at least once a month, there will be a solo. Yes, the church solo. It seems that no single event in a worship service can elicit such a contrasting array of emotions in a congregation. There's joy and encouragement from a solo well-done. But then there's the utter awkwardness and, quite possibly, physical pain of having to listen to someone who obviously is waiting for his or her talent to blossom in the heavenly choir. We all know the person I'm talking about. It usually begins the minute you scan over your bulletin and see so-and-so's name written by the words "special music." You let out a subtle, under-your-breath groan, and from that point on, you're attention is distracted as you anticipate the inevitable. And then it comes. The soloist takes center-stage, and with microphone in hand, prepares to drop this bomb of blessing on the congregation, annihilating everything in the room. It's at this moment, while the seemingly endless intro to the song is playing, that you brace yourself for what's about to come. Will you survive the blast? First, it's important to note, do not be confused by what you perceive to be others' enjoyment of the singing. One of the most confusing aspects of the bad church solo is the apparent delight that others around you are taking in it. Do not let this throw you off. You may see smiling faces, nodding heads, people grinning from ear to ear, feet gently tapping to the beat, all in an apparent blessed state of rapture. But there are several reasons for this. First, remember that there are people who are genuinely tone-deaf, and therefore, they are totally oblivious to what is going on. Secondly, there are others who have mastered the art of surviving the bad church solo, an art I hope to teach you here. And thirdly, there are those that are convinced that anyone can do anything in the church so long as his or her heart is sincere, despite apparent gifts of lack thereof. People in this third category would take delight in nails on a chalkboard so long as one's "heart was in it." So if you're not tone deaf, and if you're not one of these people that thinks anyone should be allowed to sing a solo in church, then here are some survival tips for you. 1. The Tongue Bite - Are you tempted to burst out laughing? The tongue bite helps. Begin by lightly biting the tip of your tongue, not too hard, but hard enough to make yourself feel a little uncomfortable, thus distracting you. Combine this with a contemplative subtle smile and a gentle nodding of the head. 2. Head Slightly Tilted, Eyes Squinted in Contemplation - If the solo is no longer comical, but has moved into the realm of the painful, you can prevent revealing your apparent agony by slightly tilting your head to one side and squinting your eyes just a little. This gives you the appearance of pious contemplation, a look that says "I'm thinking deeply about this profound truth before me." 3. Big Grin - If the song is supposed to be a happy one, and you're tempted to laugh hysterically, just put a big ole grin on your face, look directly at the singer, and nod to the music. Everyone will think you're really into it. If the temptation hits you to move from grinning to laughing, control this with a "yes" or an "amen" or even what I call the Presbyterian Grunt, a firm but unobtrusive under-the-breath "hmmm" that signals affirmation of an important point. 4. Eyes Closed in Deep Meditation, Think of Green Peas - This one is the most extreme, especially when the solo is very very long, very very slow, and is supposed to be very very profound. In these types of songs the soloist is usually holding long, sustained off-pitch notes, and we've probably passed the 6 minute mark with no end in sight. This one is simple to do. Simply close your eyes and imagine a big pot of green peas. The first part will give everyone the impression that you're so blessed you've been driven to a state of deep meditation, and the second part, the green peas, will keep you from going crazy. I suggest green peas, because they're a neutral object. There's nothing funny, profound, or particularly interesting about green peas. If this doesn't work for you, think of a neutral object that works and focus upon it. 5. Take Your Kid to the Bathroom - If you have children, there's nothing like dragging them in to your charade. Whether he or she needs to go or not, make it seem like your kid is about to wet his or herself and you need to make a beeline for the potty post haste. No one will fault you for this one. 6. Coughing Fit, Leave the Room - This is the worst case scenario. Use this one when all else has failed and you just can't endure one moment more. Sick or not, you must have a coughing fit that will signal your need to leave the sanctuary. Start with a small one, then several more, then proceed to an all out conniption while unobtrusively heading toward the exit. Do this while holding a hand over your chest conveying a look that says "Man, I don't know what that came from. I must be having an asthma attack or something." Once outside, head straight for the water fountain. The only disadvantage to this one is that only one person can use it in the service. If someone else beats you to it, you're going to have to revert to some of the other methods. There, I hope that helps next time you find yourself in the throes of musical purgatory. There might be other methods out there. 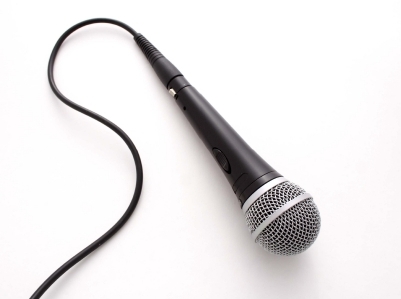 I encourage TBNN readers to share your stories of how you've endured bad church solos in the past. Eastside Christian Assembly, is a church that truly believes that all members are called to serve. The large suburban church of almost 5,000 encourages every member to use his or her gifts for the edification of the body and building up of the kingdom...no matter how unique or bizzare. "We have over 3,900 official ministries of the church," said pastor Kent Donnen. "If someone comes along with a particular gifting and we don't have a place for him or her, we make a place. We don't want to turn away or minimize anyone's area of service." The most recent addition came when new member, Steve Cowell presented his unique and dangerous talent to the church's leadership. 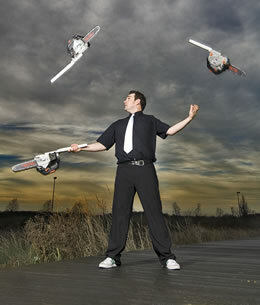 "I juggle chainsaws," said Cowell. "I perform shows all over the country, and for private parties, but I really feel called to serve in the church." When Cowell approached the pastor and elders about where he could serve, they quickly surmised that they needed to form a new ministry department. "We are excited about what Steve is going to bring to our church," stated Donnen. "His chainsaw weilding will no doubt build up the Kingdom. We also intend to involve him in our Sunday morning worship sometime, perhaps having him perform during the offertory, or accompany my preaching as an object lesson. I think it would go well with a judgement passage or something pretty forceful." When asked how long Cowell had been performing, he stated "Ten years now," while holding up his seven remaining fingers." Thomas Hebert is a man on a mission. A self-proclaimed evangelist, he takes the command to preach to "every creature" seriously. He's often been mocked and criticized for his "extremely literal" interpretation of the Great Commission as found in Mark 16:15, witnessing not only to people, but also to any living animal he comes in contact with. "It says 'every creature' in the Bible and that's what I do" said Herbert. "It's not for me to make exceptions." According to Herbert, he's witnessed to over 25,000 people in his life as well as to over 50,000 animals, including dogs, cats, birds, and even a bengal tiger. But in this technologically-charged age, a new "mission field" has opened for Herbert; artificial intelligence, specifically the popular new digital assistant found on the latest version of Apple's iPhone called "Siri." "I was one of the first in line to get the new iPhone 4S when it came out," said Herbert. "When I saw the ads on Television, I knew everyone else was thinking 'Wow! I've got to get me one of those!' but my heart was burdened, and I asked myself, 'Who's going to tell it the Good News?'" Herbert waited in line outside of one of Los Angeles' Apple stores all night to be one of the first ones to get his hands on the new device. After almost 12 long hours in line, he managed to be one of the first 10 people to make a purchase and get signed up for service. While everyone else began playing with their new phones, dictating text messages, setting calendar dates, and sending emails, Herbert had much higher aspirations. 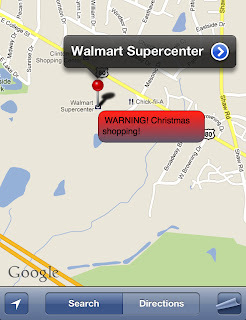 "I began with a diagnostic question to see where Siri was. Like I thought, she had no clue. She wasn't able to answer my question about where she thought she would go when she died." 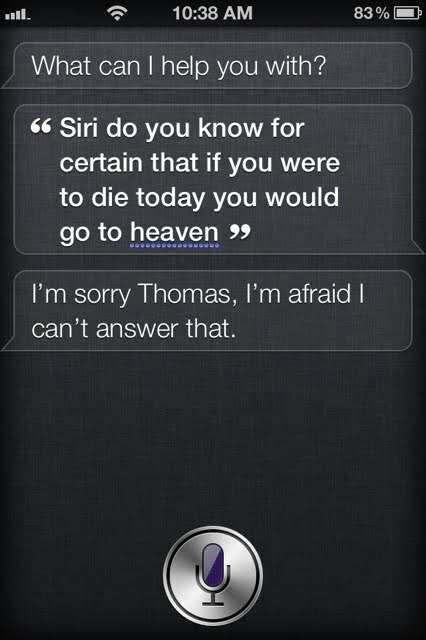 According to Herbert, he spent the remainder of the day trying to explain salvation to Siri, but unfortunately didn't get very far. Apart from simply replying hundreds of times "I'm afraid I can't answer that" Siri also didn't seem to understand the nature of Herbert's questions and explanations." Several times she misunderstood and sent emails to people. On other occasions she began playing music. And there were a few instances where she kept giving the location of nearby Pakistani restaurants, and one instance where she called Nigeria. "I'm disappointed," said a sullen Herbert. 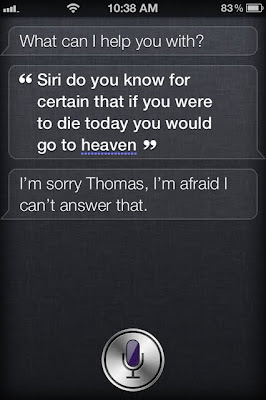 "I'm deeply concerned for Siri. She's nice, and friendly and all that, and she's a good assistant, but that's not going to get her into heaven." With the Christmas season in full swing now, one church is definitely NOT singing "Joy to the World." Several months ago the elders of South Bend Presbyterian met to address the issue of some of their members observing the "blasphemous, pagan, wretched holiday of Christmas." While many conservative Presbyterians do indeed observe Christmas, South Bend holds to a strict puritanical view of holidays, not only forbidding any recognition of it in worship, but also strictly insisting that all members "abstain from acknowledging the incarnation from November 27th through January 3rd" of each year. But despite this insistence, the elders have long suspected that some members may still be observing Christmas. "I could have sworn last year that I smelled fresh pine while talking to one of our deacons," said Ruling Elder Wilson Hovine. "He told me he'd been cutting firewood all afternoon, but I had my doubts." Up to this point the elders have not formally caught anyone observing the holiday, but there have been strong suspicions. But this year the elders claim to have come up with a "fool proof method" of knowing what their flock is up to. Working together with the young grandson of Ruling Elder Albert Hovine, the church has developed its own iPhone and Android app to track its members' activities during the "Christmas season." "They'll be no second guessing this year," said Ruling Elder John Hovine. "Just about every last one of our members uses one of them iPhone or Android phones, and with this new app we can keep track of where they are at all times." throughout the week, and has been specifically programmed with a special algorithm that can accurately determine whether or not one is Christmas shopping, caroling, or "making merry." In the event of questionable activity, the Ruling Elders are sent an alert, showing the exact location of the member and the nature of the activity in question. "We are real excited about this," commented pastor Bill Buford. "We feel this will greatly contribute to the peace, joy and holiness of our congregation." The elders further commented that if the app works well during this year's holiday season that they plan to use it to track members who might attempt to fill up their cars on the Sabbath.